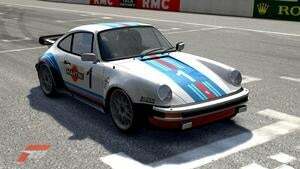 Why aren't there Porsches in Forza 4? Because EA is evil, that's why. Kidding! See, EA has the license for Porsche cars, thus, making them available only via a sub-licensing deal. The cars did appear in Forza 3, and featured RUFs, which are tuned, unmarked Porsches. "We've asked our contacts at EA to reconsider their position frequently and regularly over the last 18 months," he added. "We also reached out to various influential people in gaming to lobby on our behalf, and on your behalf, but that was to no avail." As Greenawalt explained, Turn 10 has the exclusive right to Ferraris on the Xbox and PC, but works with other companies as not to prevent players from being able to drive the cars. "While we respect EA's need to run their business as they see fit, we've regularly collaborated in the past and hope we can find our way back to that approach," wrote Greenawalt. Because it's not only Turn 10 who are out 35 Porsche models in Forza, it's players.